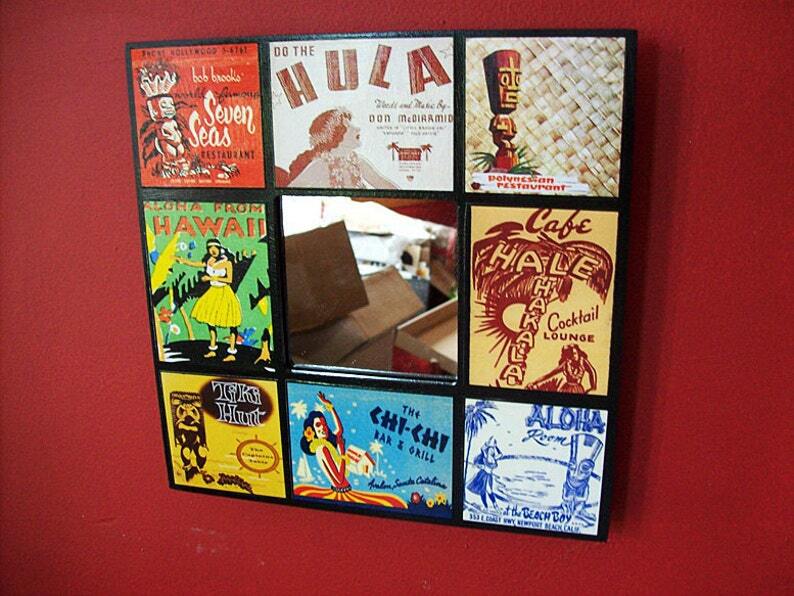 Turn any corner of your home into a tiki bar with this swanky little 10" square wooded wall mirror/frame covered with retro 1950's images of tiki gods and hula girls. A little old school Hawaii kitsch makes any wall a little brighter. I create my mirrors with paper images, decoupage medium and polyurethane so the final product becomes a mirror with a semi glossy surface that is easy to wipe clean. Thank you so much I absolutely love my mirror, it's perfect!! Shipped on time too...Love it!! One of a kind and adorable. We love it.